rated 4.9/ 5 from 340 customers! Tortilleria Garcia is the lifelong dream of Omar Garcia. As a child, Omar lived in Michoacan, Mexico on a farm where his family grew corn. 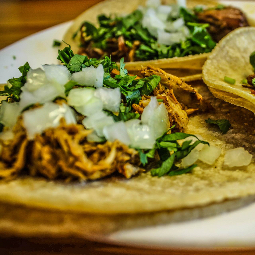 Following the harvest, the Garcia family cooked and ground the corn to make masa, the dough used to make tortillas. Omar’s grandmother Enriqueta, and his mother Dolores ,taught Omar the recipes that are used here at the Tortilleria. 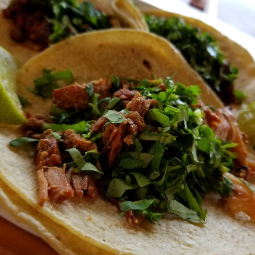 The Garcia family’s love of heritage and fresh food is what has inspired Omar to share this delicious tradition with you. 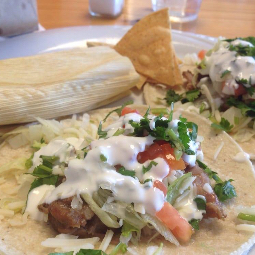 We know you will love the fresh tortillas, meats, and all of the fresh sides as much as we do! This was my third visit since opening on Wednesday. The food is fabulous, portions very generous, and the staff help guide me to the best, considering I ask lots of questions. Def an addiction. Absolutely delicious, fresh homemade goodness! Welcome to College Hill! Best tortilla I’ve ever had! The food was terrific and the service was great! * Certain restrictions may apply. Rewards cannot be used on Taco Tuesday or combined with other offers. Great food. Welcome to College Hill! Yum yum yum. Good people doing good for the community and serving very tasty food. 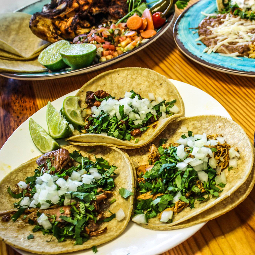 Get your Taco on and Taco about it. Great food at a great price! Friendly staff and food is delivered fast!